As part of Flipkart’s Big Freedom Sale shopping bonanza, gamers can pick up Sony’s PlayStation 4 gaming console at a substantive discounts. The one deal that caught our eye is the PS4 Pro bundle with God of War that is now being offered at an almost Rs. 5,000 discount. While the ‘God of War Limited Edition PS4 Pro’ comes with a price-tag of Rs. 48,490 in India, the bundle is now being offered for just Rs. 43,640 during the sale period. 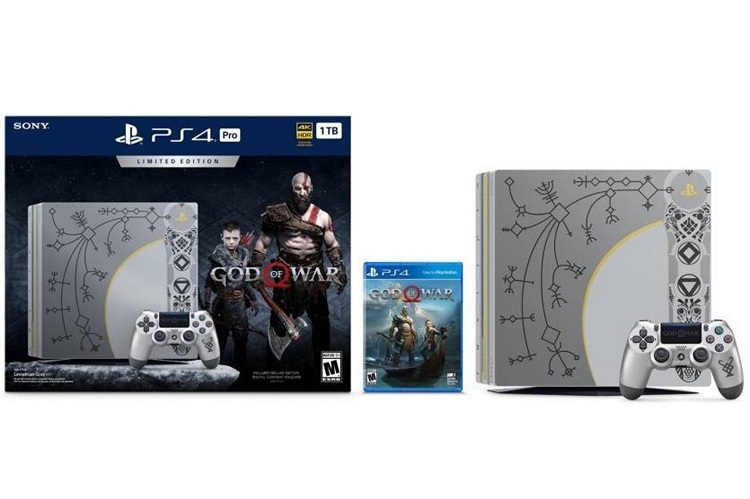 As can be seen in the image above, the God of War Limited Edition PS4 Pro bundle comes with a customized 1TB PS4 Pro console and a matching DualShock 4 controller. Both are available in Leviathan Grey, and are designed to reflect the axe of God of War protagonist Kratos. God of War is a PS4-exclusive action adventure third-party shooter that was launched back in April. It is the eighth installment in the God of War series, and the sequel to 2010’s God of War III. However, unlike the previous GoW games that were based on Greek mythology, this particular edition is loosely based on Norse mythology. Like the other games in the series, Kratos, the former Greek God of War, remains the main protagonist alongside his young son Atreus. The game is all about how the father-son duo fight monsters and Norse Gods on their way to fulfilling their promise towards Kratos’ late second wife and Atreus’ mother, Laufey (better known as Faye).